Coupling a Dark Espresso finish with a gorgeous Carrera Marble top, the 37" Harmun Single Bath Vanity is attractive in every standards of modern style. This vanity features a single-door cabinet and two soft-closing drawers with glass-insert fronts that are also adorned with Silver finished hardware. The top features a right-sided counter with a square shaped ceramic undermount sink. 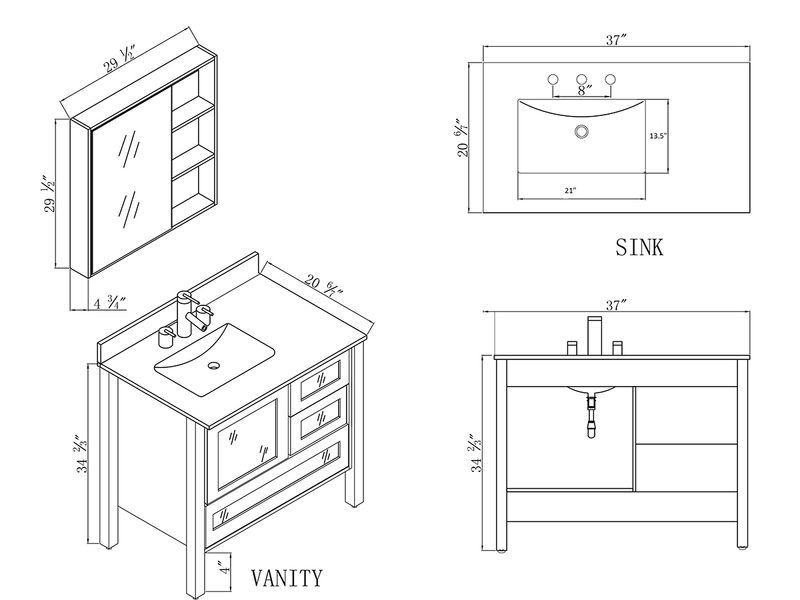 Four sturdy legs elevate the vanity off the floor, giving it a petite, yet spacious appeal. Comes with matching mirror.